While economic conditions across the United States are improving in some regions, there are still many challenges if you are presently in the job-seeking mode. This article has three components: the skills employers are seeking in new hires, resources that are available for individuals with learning disabilities, and tips to keep a positive attitude on the over-crowded employment-seeking superhighway. What skills are employers looking for in the new hires? The evolving job marketÃ¢â‚¬“that is jobs being created, as well as those currently availableÃ¢â‚¬“demands a higher level of skills acquisition. Prospective employees need to be aware of the basic and advanced skill-sets needed to competently compete for the job and be able to articulate those skill-sets not only on an application but on a resume and in an interview. These skill-sets are no longer accomplished through dedicated postsecondary education and training programs or tracks; they are better achieved through what might be referred to as a blended or crossover approach and at a minimum should have a combination of baseline industry-specific skill-sets and technology skill-sets. Additionally, job seekers must be able to identify the soft skills needed for success on the job. Soft skills are characteristics such as dependability and punctuality, ethical behavior and work ethic, customer service and interpersonal skills, communication skills and teamwork, job commitment and having an understanding of expectations, accountability and problem solving, confidentiality, positive attitude, initiative and the ability to work independently (as appropriate), and flexibility (Pacific Mountain Workforce Development Council, 2003). Preparing for and acquiring the needed industry-specific and related soft skills takes research and support. It has been said many times over that if one pursues his or her interests or passions, the job and income will follow. A job seeker must research those industries of interest and connect them with his or her individual strengths and attributes as well as likes and dislikes. Just because one has strength in a specific area does not automatically mean the job is one he or she has a passion for. This then begs the question: Will he or she find the work that is meaningful and enjoyable? A major part of preparation is being exposed to what one has not been exposed toin the words of an individual with a learning disability“I do not know what I do not know” Payne, 2010). One of the best ways of learning what an industry and more specifically the employer wants in an employee is on-site visits and informational interviews with employees who do the work. What are some tips to keep a positive attitude in the over-crowded employment-seeking superhighway? Figuring out what jobs are available and how each matches with your passions, your strengths and your attributes is a full-time job. The following are suggestions for maintaining the positive attitude needed to achieve the end goal Ã¢â‚¬“ a job. Get a good support system in place. Support is the true foundation of success. Your support system should consist of several “go-to” points including a trained employment specialist (could be through your local workforce center), a family member or close friend, and a support group that meets regularly made up of those in the process of job search. Know and be able to describe yourself in positive terms. Set a weekly Job-search schedule. Treat looking for a job like a job: do it full time. For example, do your research on Sunday and Monday, your site visits and informational interviews on Tuesday, Wednesday, and Thursday, and your follow-ups and support connections on Friday and Saturday. Of course, being called for a job interview trumps any part of the schedule. Think about yourself in a positive way. Take fifteen minutes per day to think about the talent you have; think about what you would want to hear about if you were your employer. It may be important to journal (written, pictorial, or audio) your reflections and review them as needed throughout the week. Believe there is a job out there that is the “right fit” for you. Believing in yourself and what you have to contribute to a business or organization is incredibly powerful. It produces behaviors and characteristics that are constructive and productivejust the kind of employee an employer is looking for. Part of the job-search process is relationship building; it’s about connecting with people you know and it’s about telling them you are looking for work, the type of work you want, and what about you makes you the best candidate for the employer who has that work available. Connect through social networks, former co-workers, teachers, counselors, volunteer groups, family and most of all friends. This constitutes the best way to access the “hidden” job market. Over the next few years, the United States will return to a shortage of job applicants in the workplace. This will be due in part to the aging of the workforce and lower birthrates of the post-baby boom years. Each job seeker who has the job skills and education required by our increasingly technology-driven, knowledge-based economywho possesses the skills required for the contemporary workplacewill be needed by business and industry. Connect with your local workforce center to get more information about in-demand jobs of the future www.servicelocator.org. 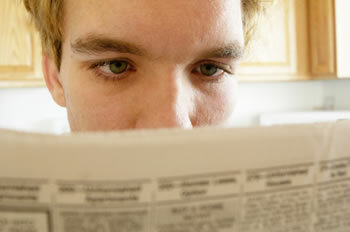 Also, read the Resources for Job Seekers on the LDA website under the adult section. © 2012 Learning Disabilities Association of America (LDA). LDA encourages the distribution of this information. Please provide appropriate credit if portions are cited. Information may not be reprinted for the purpose of resale.